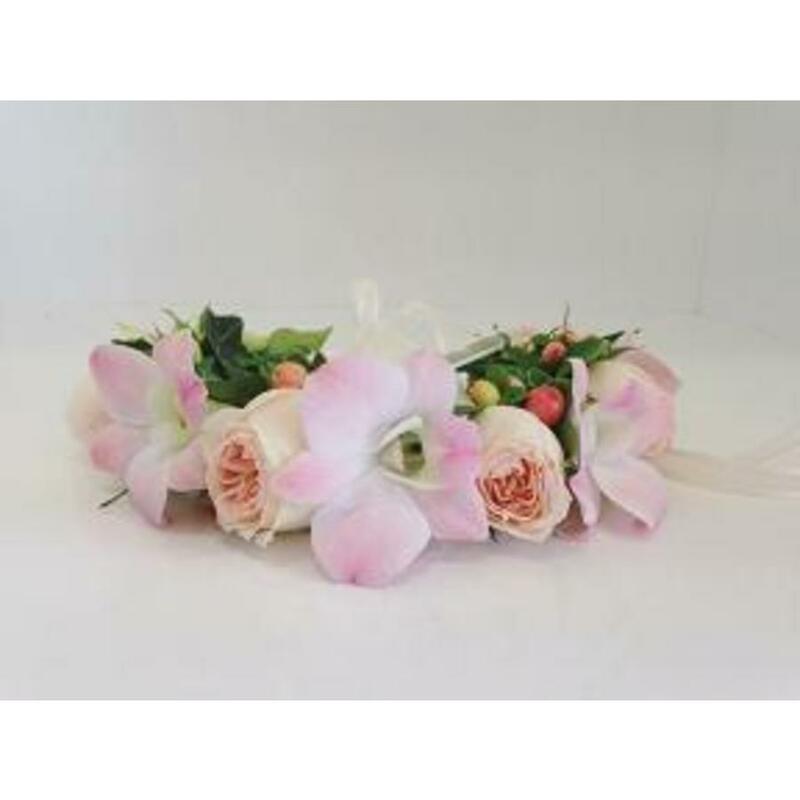 A soft sweet pink floral crown of mixed flowers helped to create this pastel pink pretty. Popular for weddings, baby showers and engagements as well as Hen's Nights and kitchen teas. This would be perfect for all.